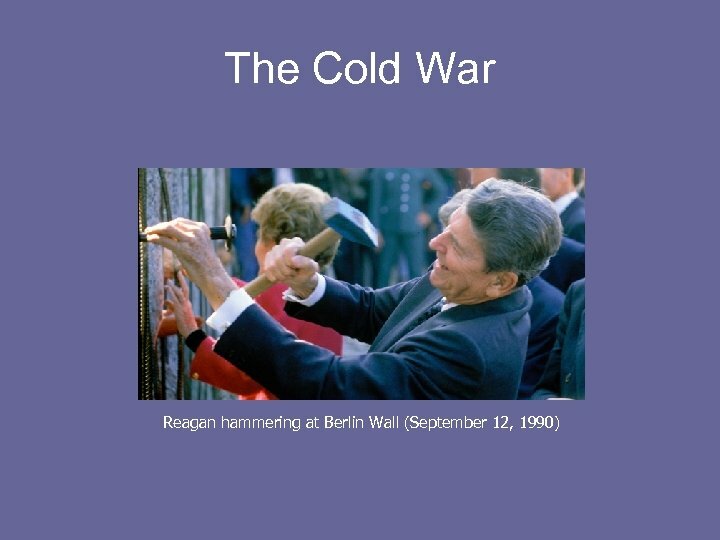 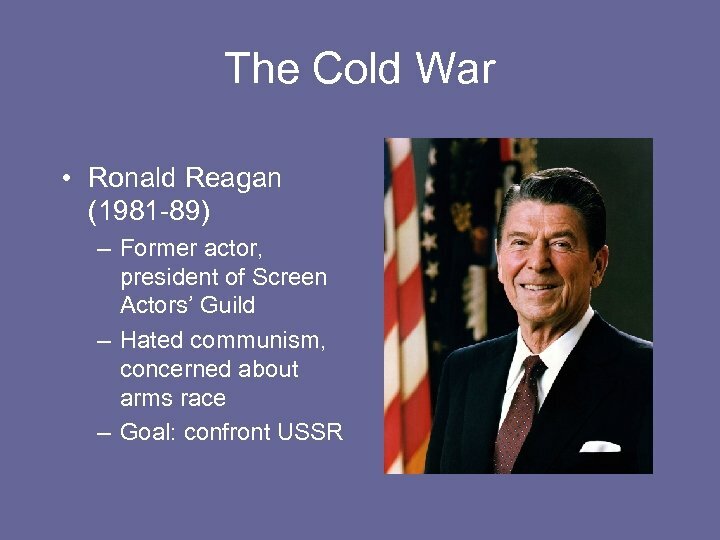 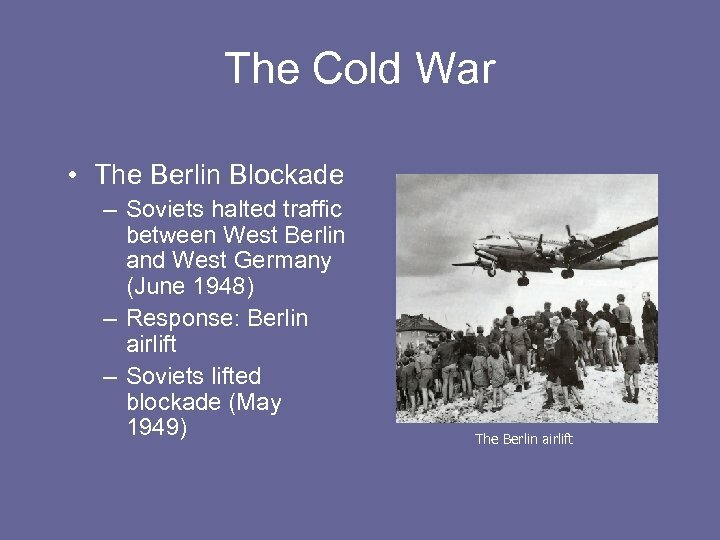 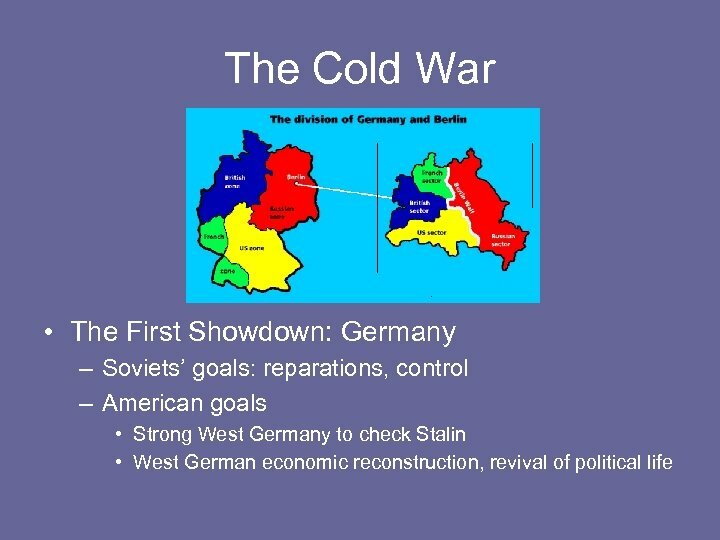 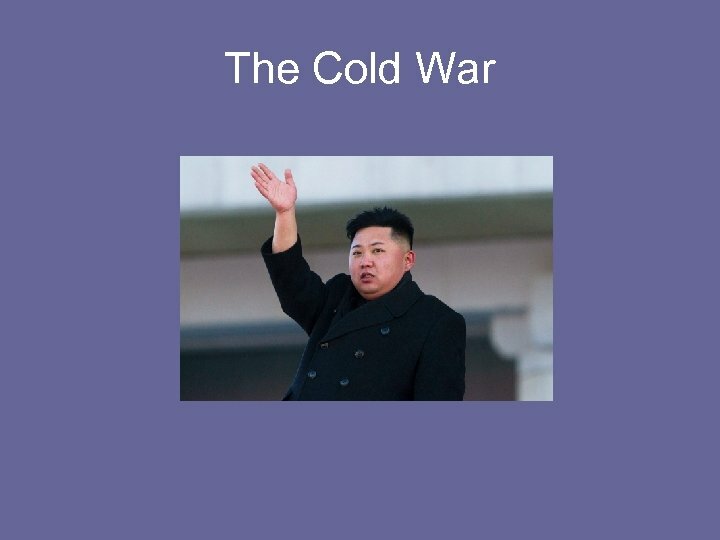 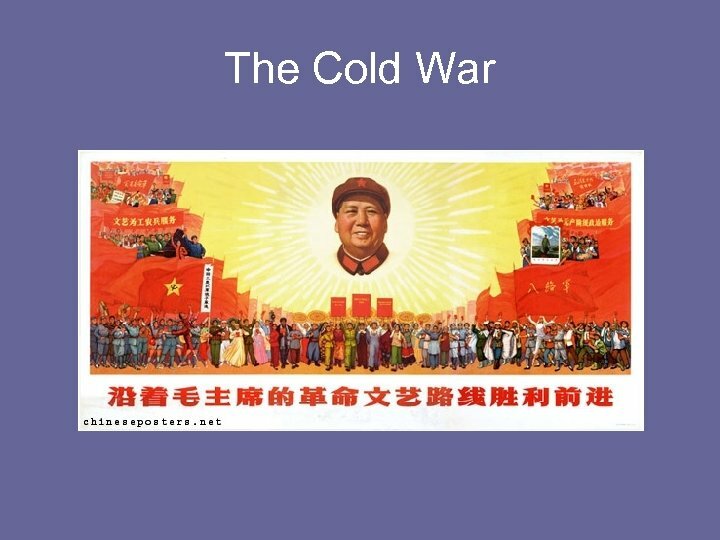 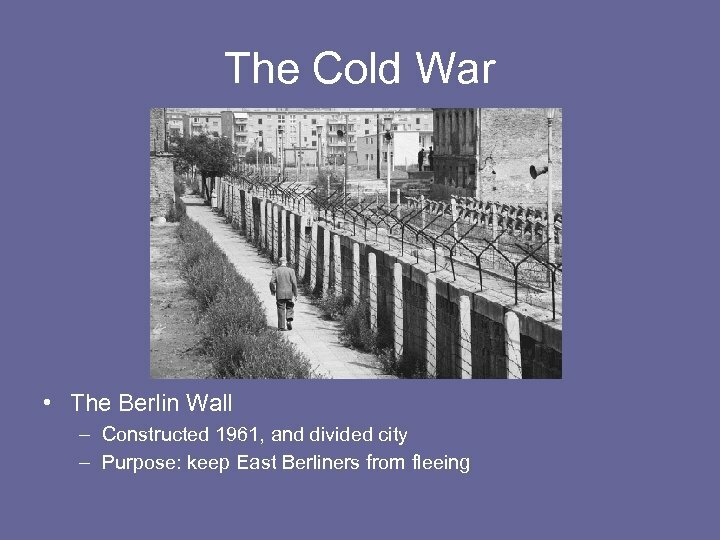 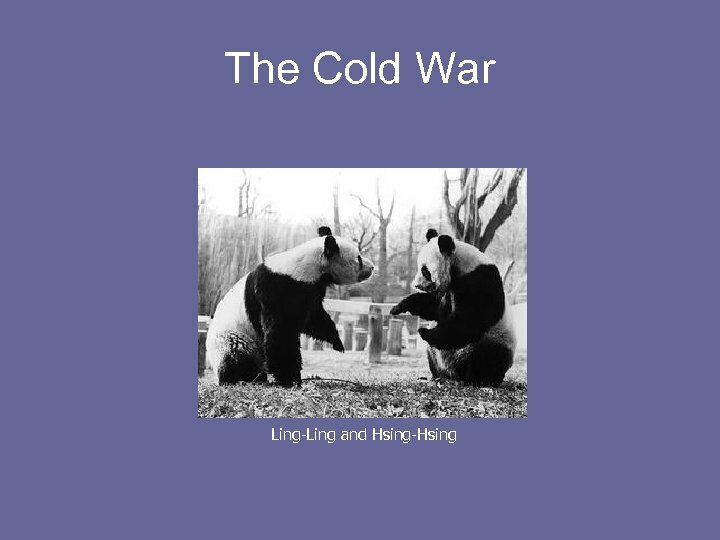 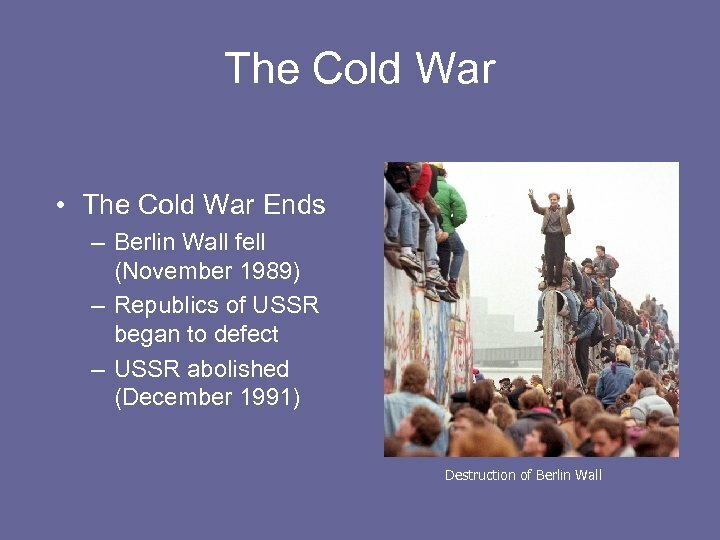 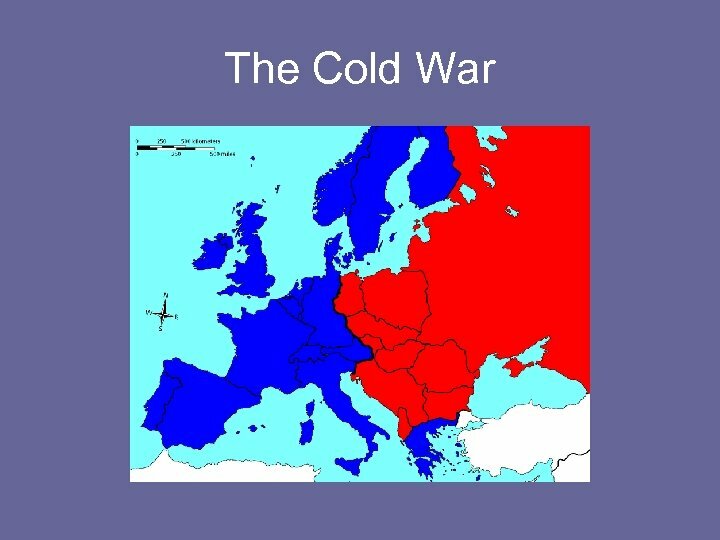 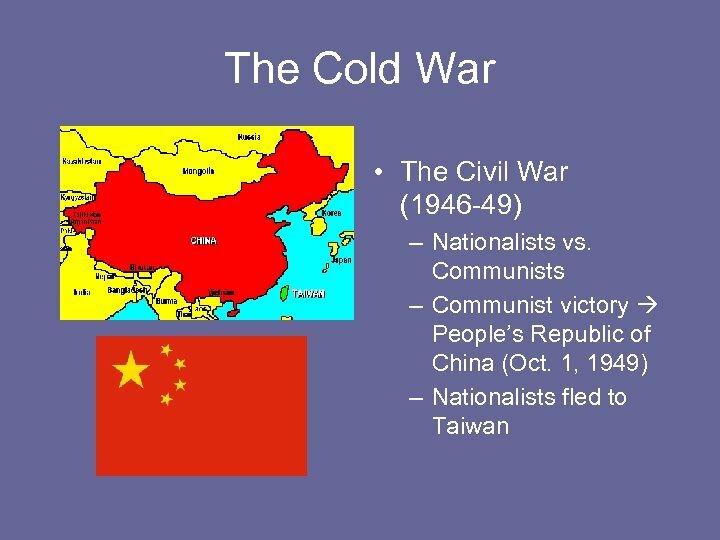 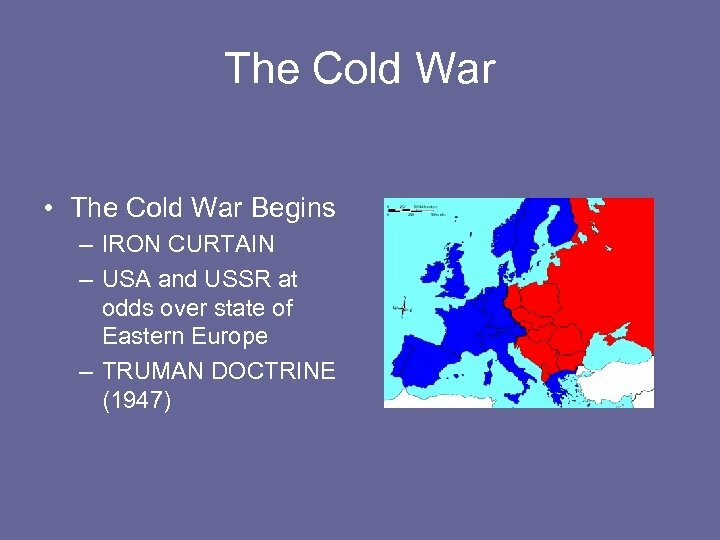 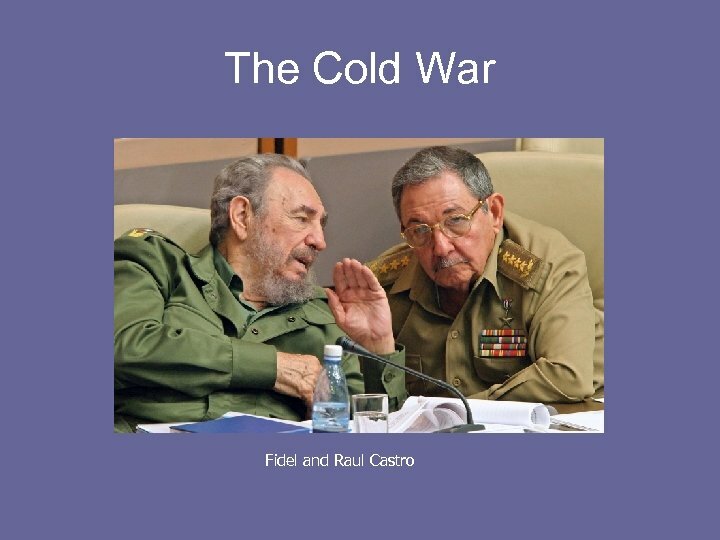 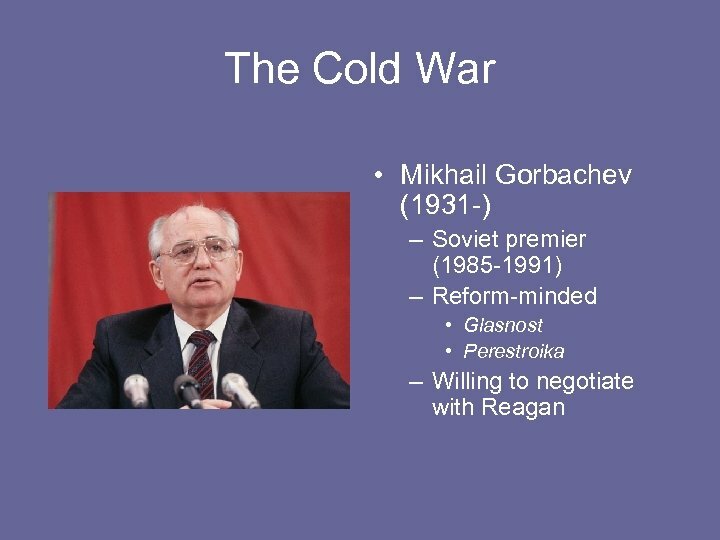 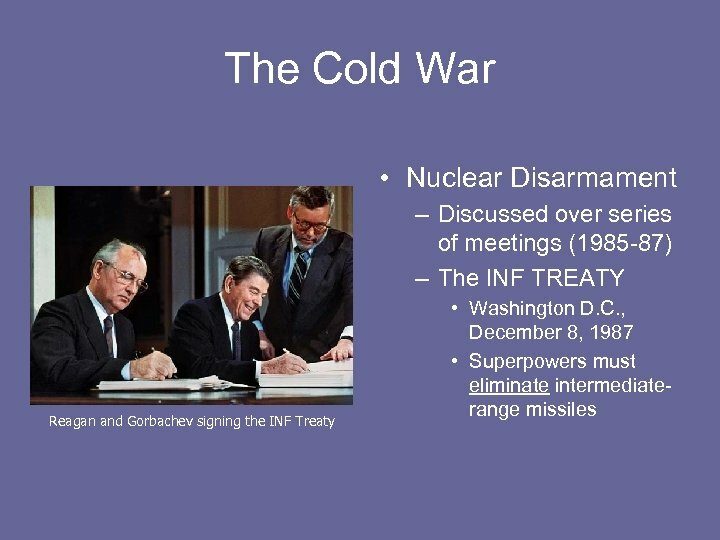 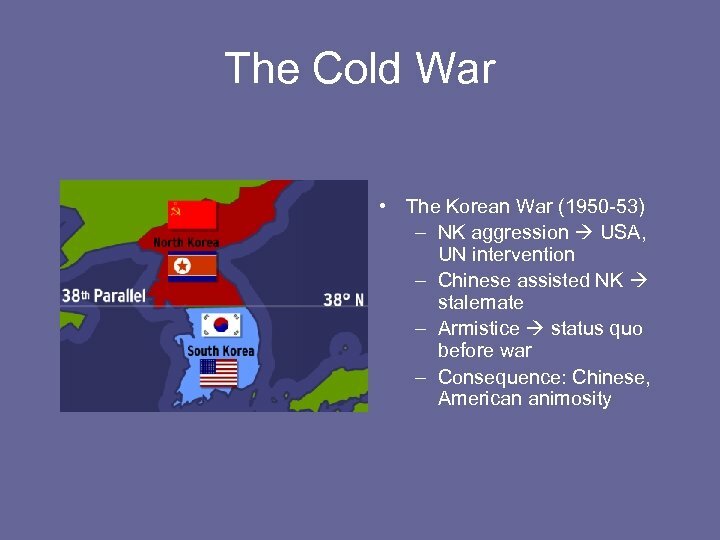 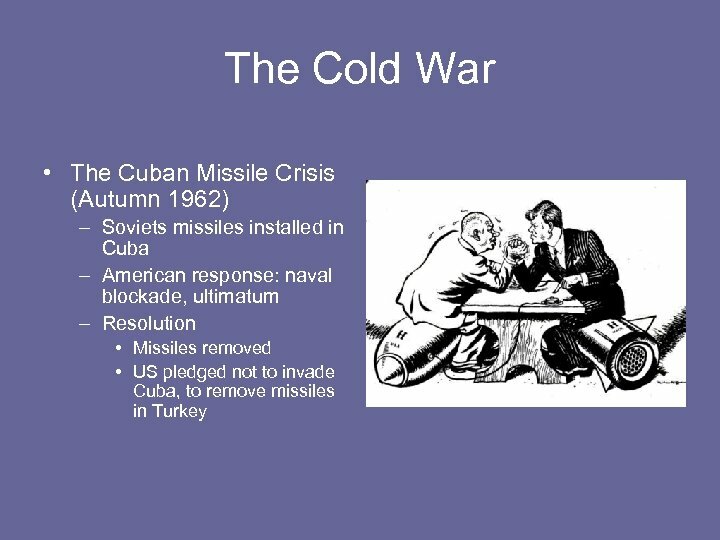 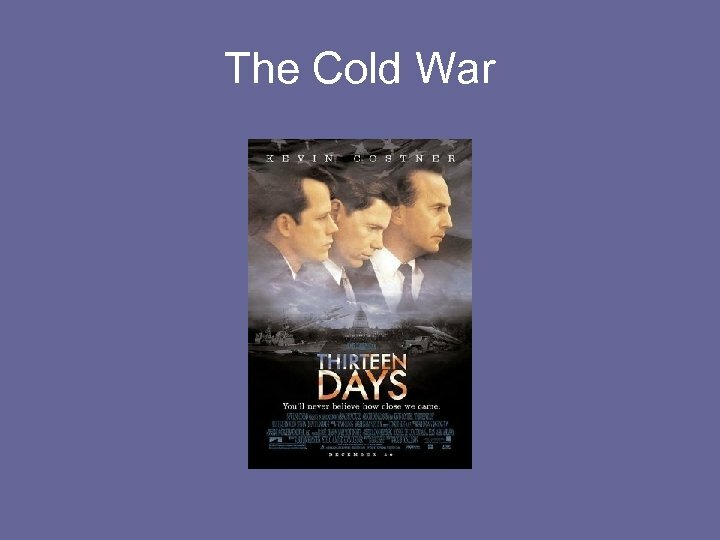 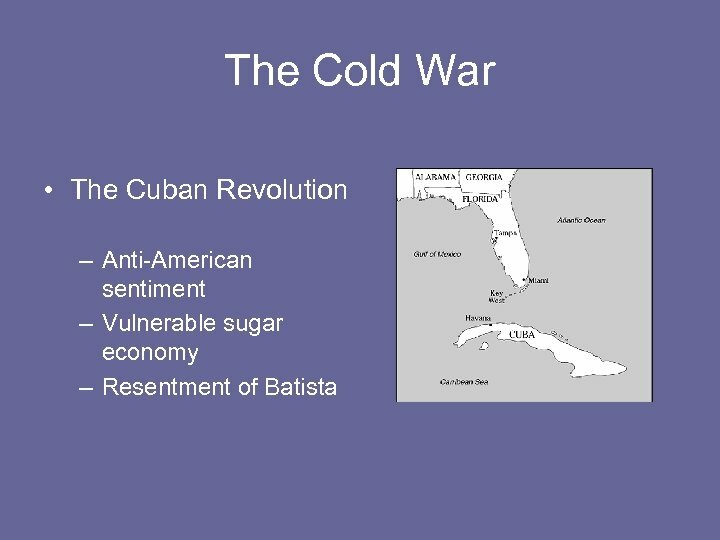 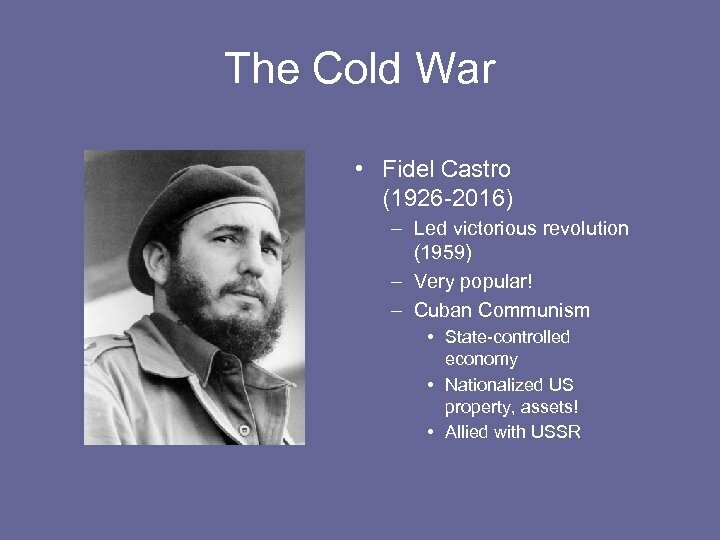 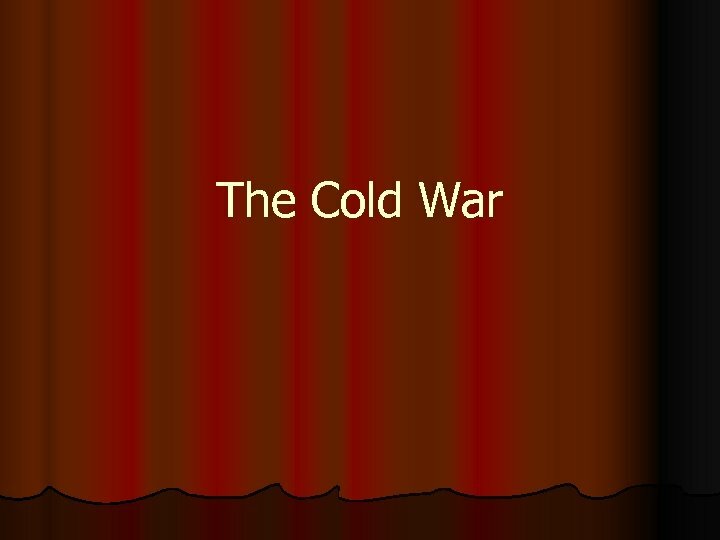 The Cold War l Why “Cold” War? 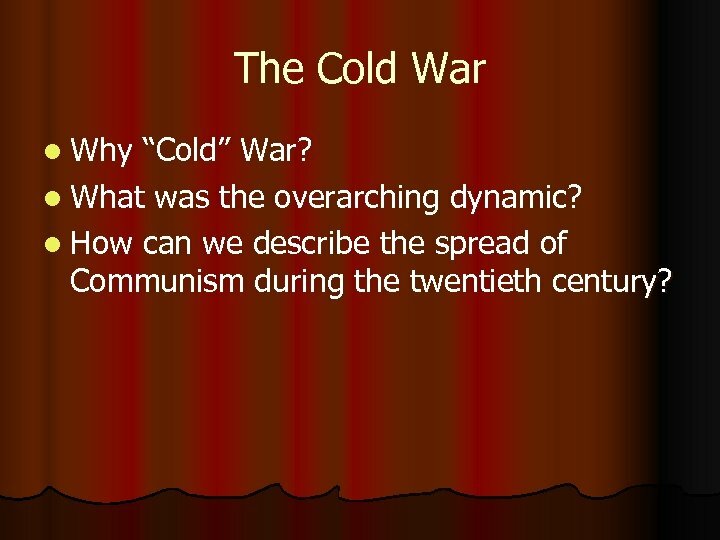 l What was the overarching dynamic? 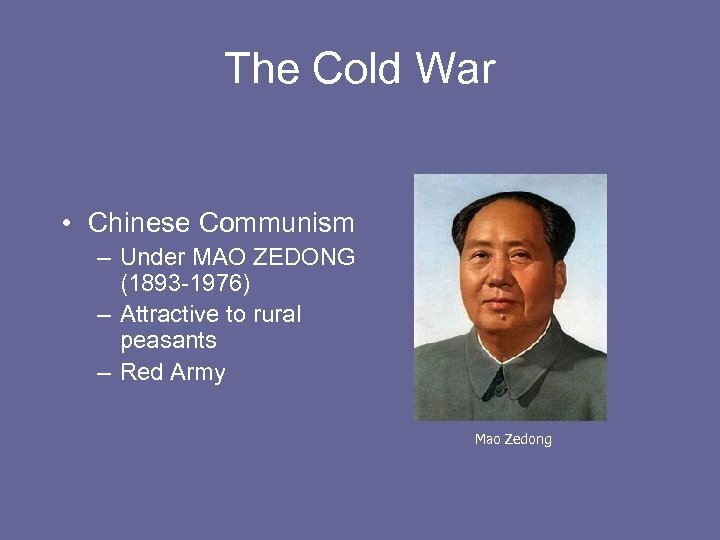 l How can we describe the spread of Communism during the twentieth century? 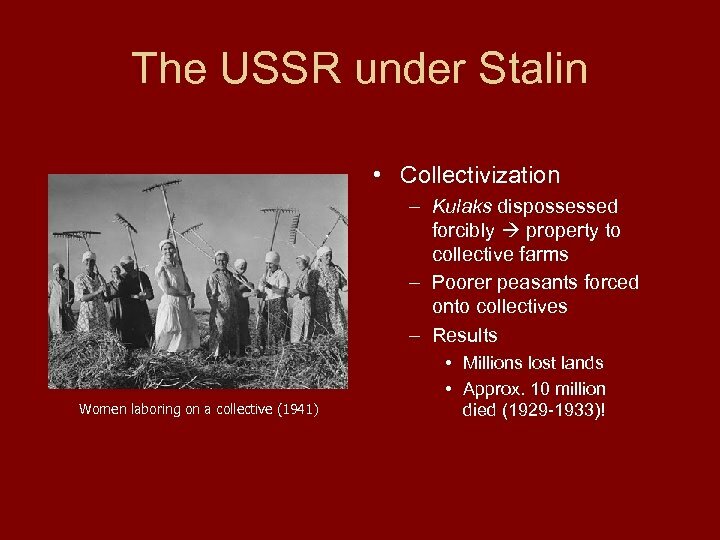 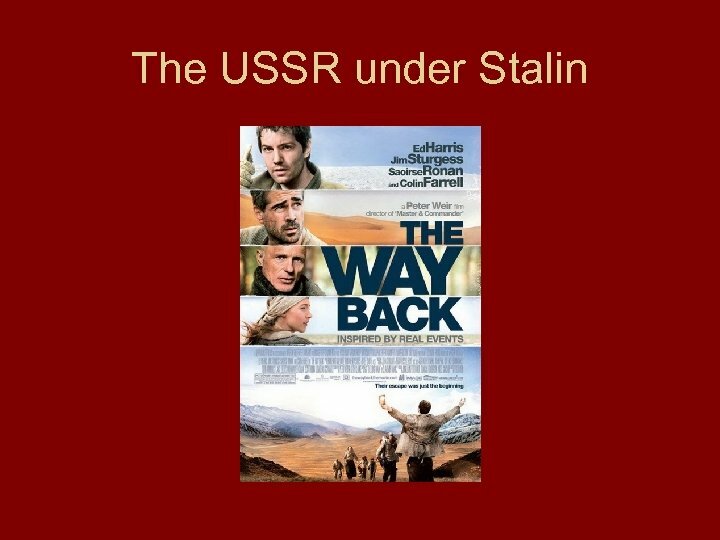 The USSR under Stalin • Collectivization – Kulaks dispossessed forcibly property to collective farms – Poorer peasants forced onto collectives – Results Women laboring on a collective (1941) • Millions lost lands • Approx. 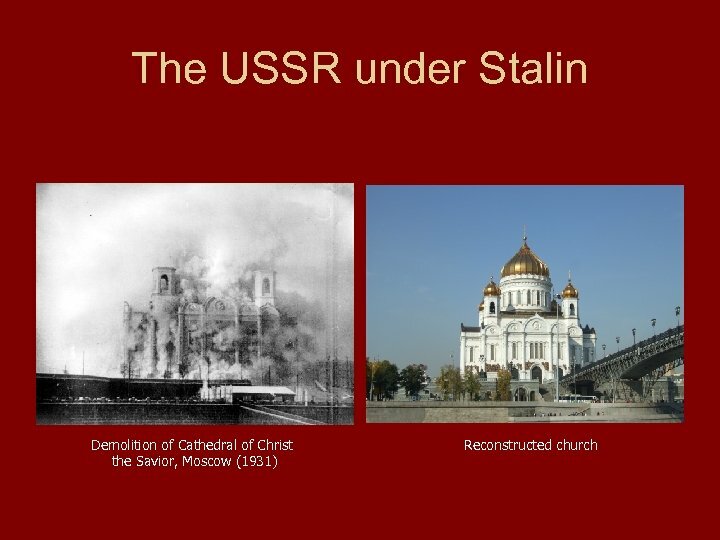 10 million died (1929 -1933)! 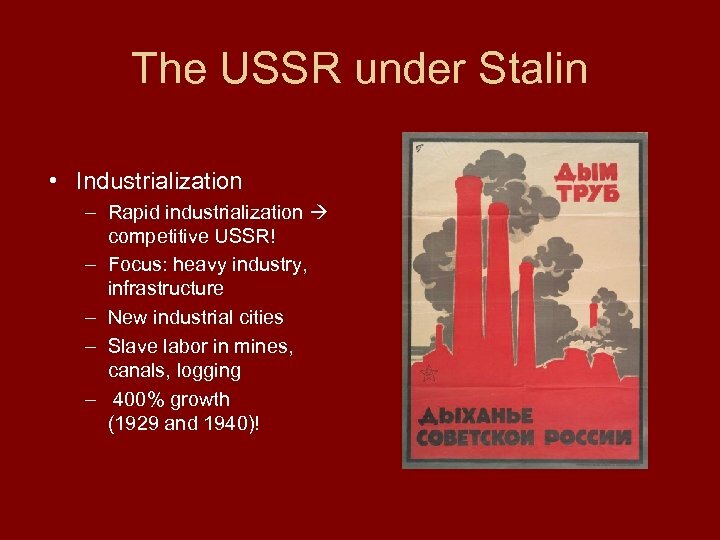 The USSR under Stalin • Industrialization – Rapid industrialization competitive USSR! 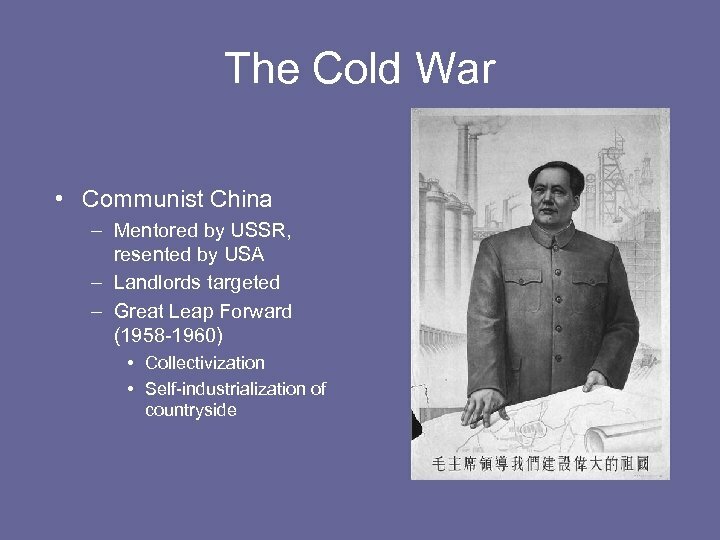 – Focus: heavy industry, infrastructure – New industrial cities – Slave labor in mines, canals, logging – 400% growth (1929 and 1940)! 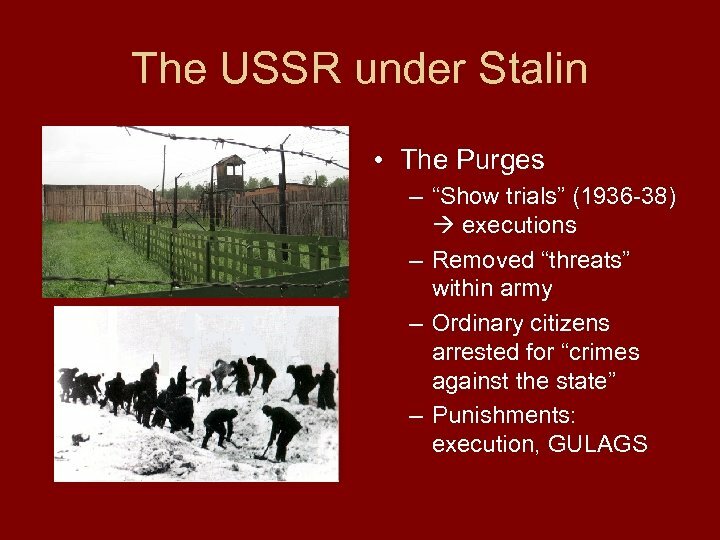 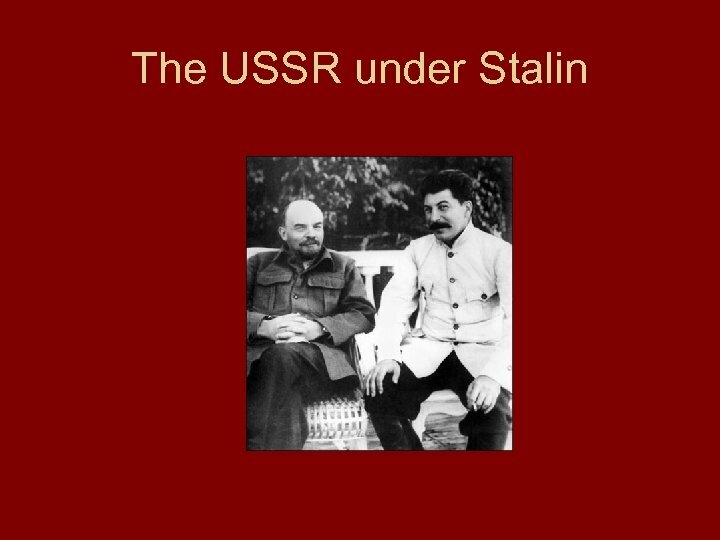 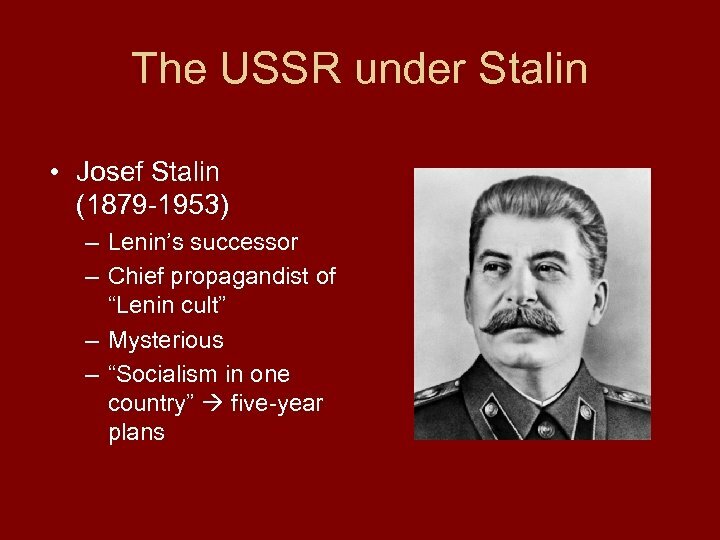 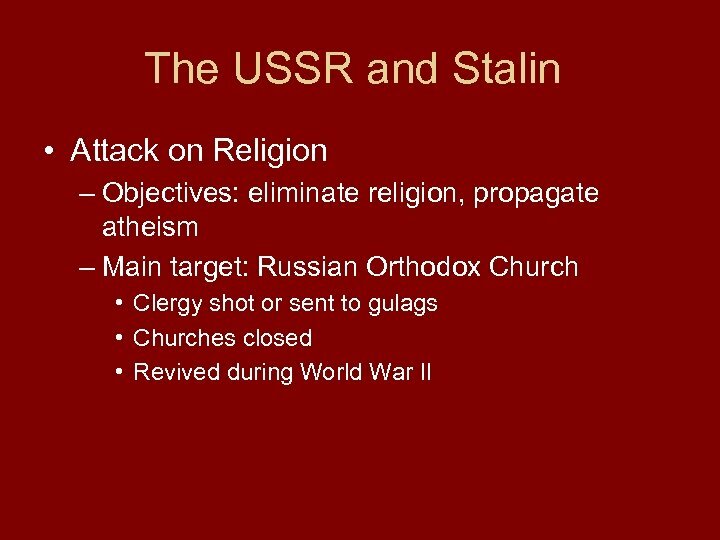 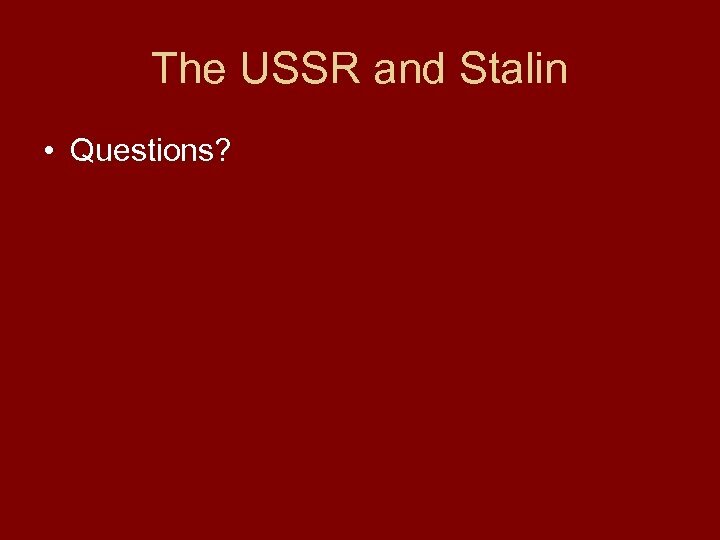 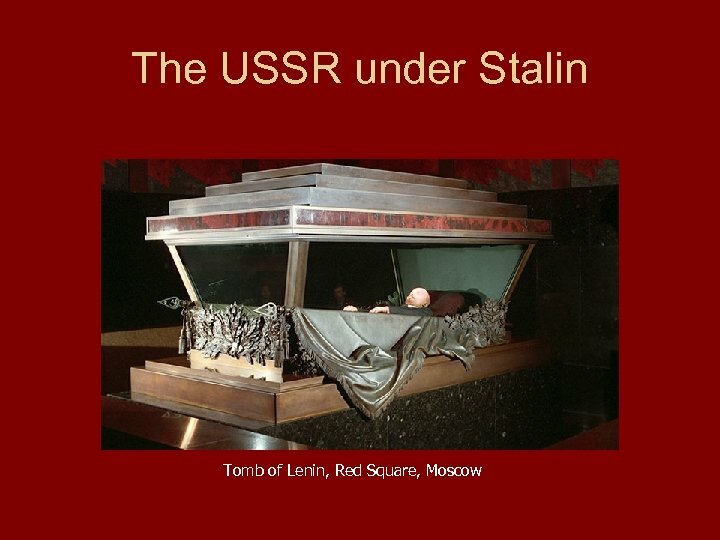 The USSR and Stalin • Questions? 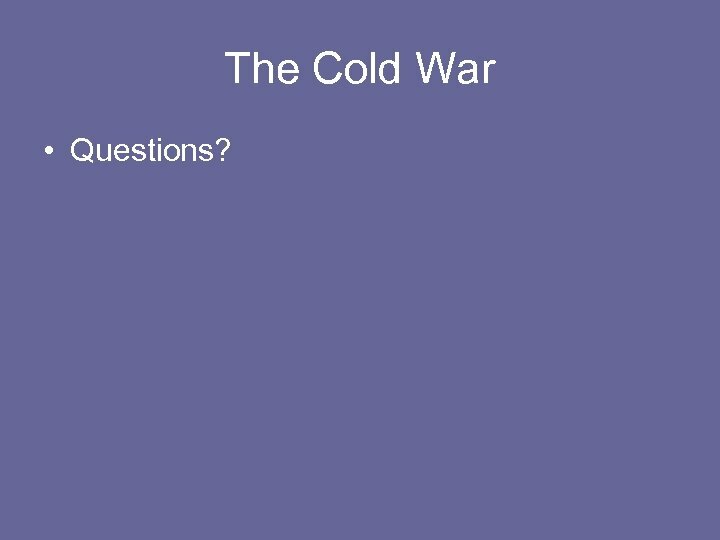 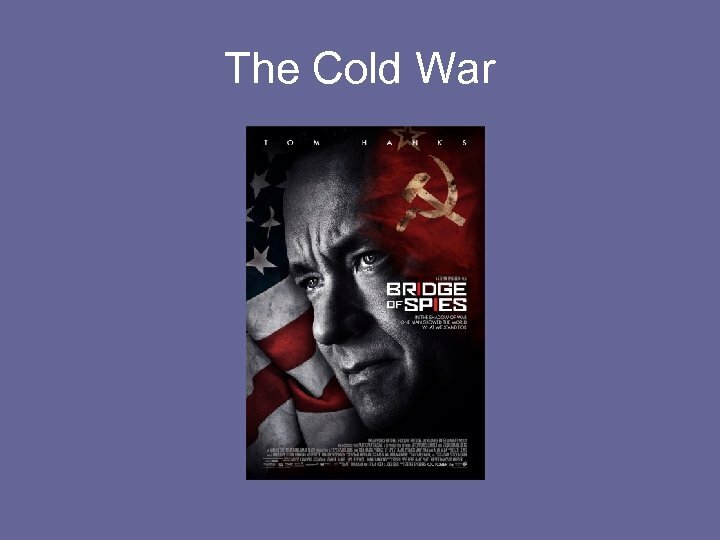 The Cold War • Questions? 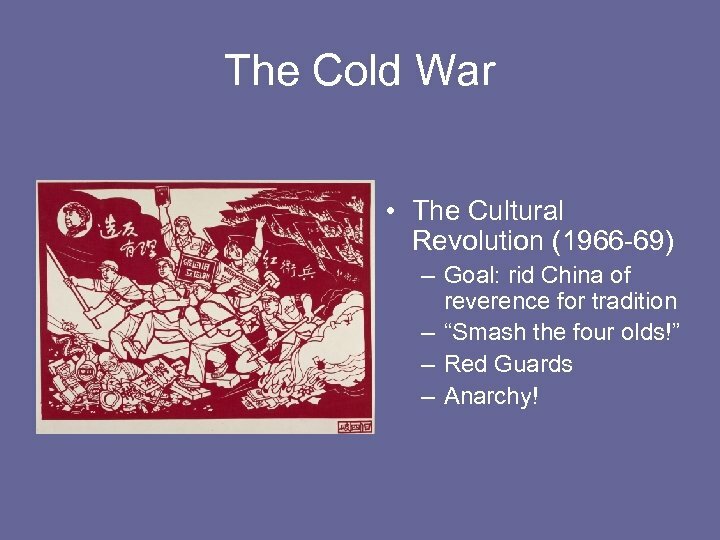 The Cold War • The Cultural Revolution (1966 -69) – Goal: rid China of reverence for tradition – “Smash the four olds!” – Red Guards – Anarchy! 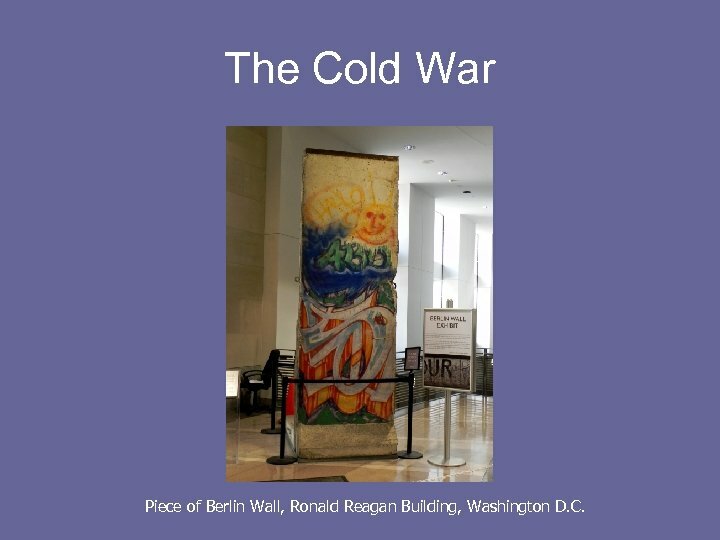 The Cold War Piece of Berlin Wall, Ronald Reagan Building, Washington D. C.